Allegra Boverman/Gloucester Daily Times. 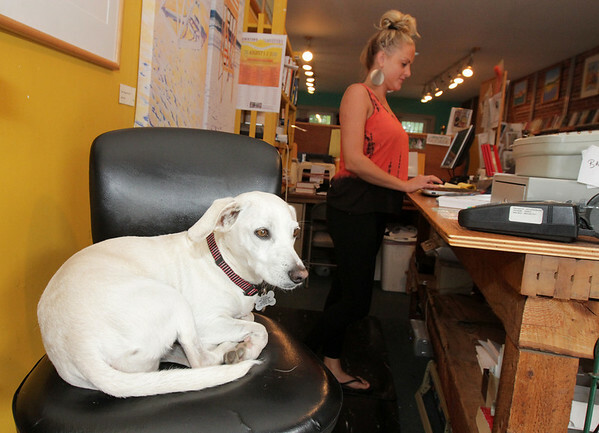 Diego, 5, who belongs to Abby Severance of Gloucester, of The Book Store of Gloucester, relaxes on a high chair in the shop on Tuesday afternoon. Diego is always with her when she's working in the shop.